This year is already shaping up to be one hell of a year in music and we aren't even halfway through 2017. We have new albums dropping left and right from some of our favorite artists and too many extremely talented new artists are popping all over the place. With all the new music coming your way, it's easy to let these amazing new artists get away from you. We know it gets a little overwhelming at times - which is exactly why we compiled a list of 7 of the best new vocalists that should absolutely be on your radar. 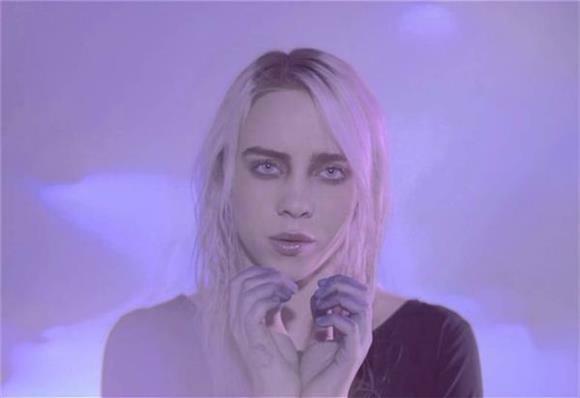 If we told you Billie Eilish was 15-years-old after you heard her voice, you wouldn't believe us. With influences like Lana Del Rey and Tyler, The Creator, you won't be able to pinpoint just one genre in her sound. Eilish's indie-pop sound is a mix of Tove Lo, Aurora and Lana Del Rey but the LA songstress has a unique appetite for all genres making her an artist you absolutely need in your life. Amber Mark came out of nowhere and stunned us all with her smooth, R&B vocals and style. Only a few months ago, Mark uploaded her first song, "S P A C E", to Soundcloud. Since then, the NYC-based vocalist has released three more and we can't get enough of her worldly sound. Mark was raised living and traveling the globe with her family - from India to Berlin to NYC. So her sound is influenced by everything from Brazil's Bossa Nova rhythms, New York's hip-hop and R&B, the house/techno beats of Berlin, and more. Are you as intrigued as us yet? Cloves, born Kaity Dunstan, is a Melbourne-bred who has a smoky, old-soul sound and she's only 20-years-old. Cloves has a retro sound that's both innocent and bold with influences like Etta James, Fiona Apple, and Amy Winehouse - and if you add in some Lana Del Rey and Adele, you'd get Cloves. Check out our interview with Cloves, here. Seattle-born singer-songwriter, Jaymes Young, recently spent some time touring with trip-hop trio, London Grammar, and has also worked with David Guetta and electronic musician, ZHU in the past. Young began writing songs and playing guitar at the age of 14 and he has such a smooth and honest voice that lays over synths, electronic beats and pop melodies. Sarah Close was discovered on YouTube by posting covers of popular songs from artists like Rihanna, Drake, The Weeknd and Tove Lo. It wasn't until a few months ago when the British songstress debuted her first original song, "Call Me Out". At first listen, Close has an innocent, Carly Rae Jepsen-style electro-pop sound. But she creates her own style by blending in her rock and hip-hop influences as well. People are going crazy over this Norwegian newcomer. Sigrid has been called "the new Lorde" mixed with MØ and she has the voice of a true pop star. The 20-year-old has a bold, powerful and raspy voice and when she was only 16 years old, she signed to the same label as Aurora (who's also her good friend). This sassy powerhouse should definitely be on your playlist. Dermot Kennedy's music is a melting pot of electronic, pop, rap with a sound similar to Bon Iver and Jack Garrett. The Dublin-based vocalist has a passionate, gritty croon that gives off a indie-rock folky feel at times. With such raw and honest lyrics and a unique sound like his, you definitely need Dermot Kennedy in your life.